Over the past few years she has been working to ensure the success of special activities to help residents with dementia, including personalised information sheets for each bedroom door to enable them to more easily navigate their way through the home’s corridors. 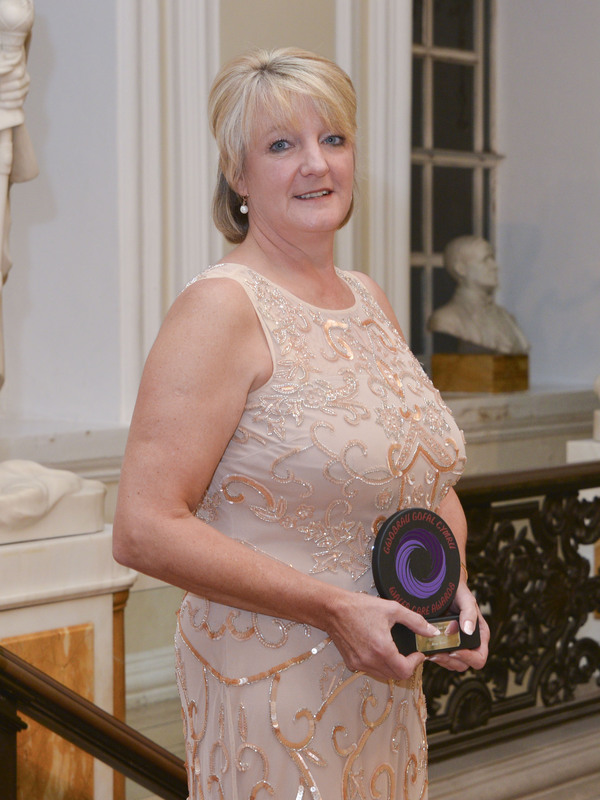 It is this dedicated approach to her caring role that saw Sharon take bronze in the Outstanding Service category, sponsored by Hallmark Care Homes, in the 2016 Wales Care Awards at City Hall in Cardiff, known as the Oscars of social care. 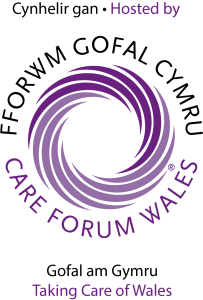 The awards, now in their 14th year, are in association with Care Forum Wales, a not-for-profit organisation set up to give independent care providers a single professional voice with which to speak on one of the most important issues of our time – how to provide better quality care for those who need it most. Opera singer Wynne Evans, famous as Gio Compario from the Go Compare TV adverts, was master of ceremonies at the glittering presentation evening. Sharon is originally from Cardiff and started a pre-nursing course at Rhymney College at the age of 17. She then completed two years’ nurse training at the University of Wales Hospital in Cardiff before starting work in the stroke unit of the city’s St David’s Hospital. Married to husband Jerry, 58, in 1985, the couple have two sons and a daughter aged from 25 to 30 along with a three-year-old granddaughter and a one-year-old grandson. Sharon said: “When our first child came along in 1986 I took a few months off before starting work again, this time in elderly care, when I became a nurse at Glan Ely Hospital in Cardiff. After a couple of years at Glan Ely, her husband’s job in sales meant a move for the family to an area just outside Looe in Cornwall. During the 10 years they were there Sharon split her time between having her other two children and working as a nurse, mainly on night duty, at two local nursing homes. In 1997 the Whites moved back to South Wales where Sharon began at The Hollies soon after it opened. She said: “It’s a 41-bed home and a number of residents have dementia. As lead nurse I stay busy because there are other health problems such as Parkinson’s Disease and diabetes. “I’m in charge of a team of six nurses but I’m not an office person and like to be down on the nursing floor as much as possible. “I also enjoy being involved in staff training and development. We have quite a few of the carers who aim to become nurses and I’m happy to say I’ve helped a number of them achieve this ambition, some of who have come back here to work after qualifying. “I also work with our lifestyles and administrative teams on special activities for the residents with dementia like the Butterfly project which encourages them to bring in familiar things from home. “We’ve also been creating personalised information sheets which are attached to the doors so that it’s easier for people to find their bedrooms. One gentleman used to be a footballer so, along with his name, he has pictures of footballers on his door. “We also organise special activities to make The Hollies feel more like a home from home, including baking and cookery days and trips out. “I lost my own mum and dad some years ago so I think it’s great to have people in their eighties and nineties living with us. “When you talk to them they have some great memories and stories to tell, and that’s one of my favourite things about the job.